This post is the second of a four part series related to the 2012 Presidential Election. Please consider reading the introduction which will also include links to all the articles as they’re posted. Let’s just get the question out in the open so we can have a frank discussion about it. Can a Christian vote for a Mormon in good conscience? I believe the Mormon church (also known as the Church of Jesus Christ of Latter Day Saints or LDS) has many teachings which are clearly unbiblical and place it far outside any attempt to define Christian orthodoxy, but does this impact our vote? What about voting for a Roman Catholic? Most of those opposed to Romney on religious grounds would also take issue with the theology of the Roman Catholic Church (as would I), but I’ve heard nary a word about not voting for Paul Ryan or Joe Biden on account of their Catholic faith? What about voting for a Jewish candidate? What about an atheist, a Hindu, or even an “evangelical” whose fruit is questionable? 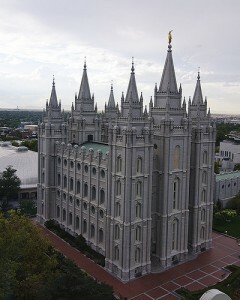 The Mormon Temple in Salt Lake City. Used by Permission through Creative Commons license – Click image for full credit. As Christians, I think we sometimes put to much emphasis on the “cults” rather than simply recognizing them as just another person in need of Christ. I believe that many, though not all, Christians who are opposed to Romney solely on the basis of his Mormon faith would not have to think twice about voting for a Catholic or a Jew. This is a double standard. Frankly, I believe this may be, at least partially, born out of fear because the LDS church is expanding at an exponential rate while our own evangelical churches are experiencing anemic growth. But instead of making this an issue of evangelism, we’ve made it an issue of Presidential qualification. With that out of the way, let’s go back to the proper question – should a Christian vote for anyone who is not a Christian? Based on the biblical purpose of government, the single most important factor in choosing our leaders is then, presumably, to choose a leader who has a solid understanding of morality – what is right and what is wrong. Certainly a person’s faith will inform their moral calculations, but their faith is not, in and of itself, the issue at hand. Beyond this, the Bible never seeks to offer specific criteria for the selection of civil leaders. It would certainly stand to reason that we may prefer a Christian where possible. After all, we are to pray for the salvation of our present leaders per I Tim 2, so certainly electing a believer at the outset would seem good. 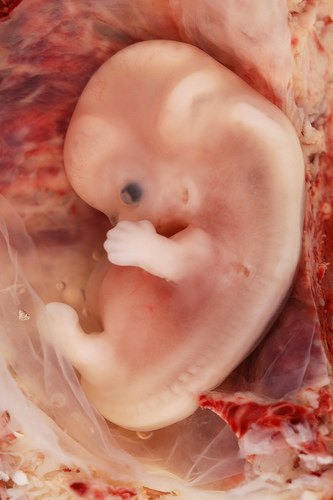 However, saying this is preferable is hardly the same as saying we must vote only for a Christian. We certainly understand that in selecting church leaders there is an abundance of Scripture which addresses spiritual qualifications. The Israelites had spiritual requirements for leaders as well, but these were leaders whose authority also extended into spiritual matters. God is clearly concerned about the spiritual qualification of spiritual leaders. However, one of the defining principles of the American experiment was that the civil leaders were to have no jurisdiction of spiritual or ecclesiastical matters. As such, there are no specific spiritual qualifications. Furthermore, God has worked through sundry non-Christian leaders throughout history to fulfill the biblical purpose of restraining evil, punishing evildoers, and protecting those who do right. Even beyond that, these non-Christian leaders have been used to further the spread of the Gospel, raise up other Christian leaders, and protect God’s people. Biblical history is itself replete with such examples. I believe that to categorically declare that we must vote only for a Christian candidate is to add to the clear teachings of the Scripture. I believe the burden of proof rests with those who believe God has forbidden us from voting for a non-Christian candidate in civil government to make that case. One of the first, if not the first, priority of civil government should be to ensure freedom of religion. In fact, the verse I mentioned earlier in I Tim. 2:2 instructs us to not only pray for the salvation of our leaders, but also that they would allow us to worship freely. Why is religious liberty important? Because true faith in Christ must be voluntary. Jesus never forced faith upon anyone. He simply proclaimed the truth, and allowed people to respond. (Through the work of the Holy Spirit, yes, but I’m speaking here in human terms.) Our desire should be that the government simply stay our of the way, and allow us to live and preach the Gospel, so that people may choose Christ for themselves. How does this “justify” voting for Mitt Romney? May I answer that with another question… If religious liberty is the first priority of civil government, would it not be hypocritical for us to then require a religious litmus test for our vote? How can we say that our primary concern is for the government to allow all people to worship freely, and then immediately qualify that by saying that we cannot support a person of any other religion to be a civil leader? Would you hire a Mormon? If I were to hire a mechanic, I would certainly ask him about his experience in auto repair, types of cars he is familiar with, perhaps some technical questions to test his knowledge, but whether or not he was a Christian would be immaterial to whether or not he’s a good mechanic. Of course, I also need my mechanic to be honest and show up on time, so assuming I’m convinced of his mechanical skills, I’ll also take the conversation another direction as I seek to understand his work ethic and his moral basis. (Note that we don’t even need to have this conversation unless he’s already qualified as a mechanic!) His faith certainly may come up in this conversation, but only to the extent that it impacts his moral character or ability to do the job required – not as it impacts his eternal destiny. That may not be a complete list, but I don’t think I’ve missed anything major. Must a person be a Christian to properly assume these duties? Let’s go back to the question about whom you would hire. What about the surgeon who is going to operate on your child? No doubt, you’d like it if he were a believer. It would be comforting to know that he prays for guidance and seeks God’s help. However, faced with the choice between a Christian (btw, he’s a resident just out of med school) or a Hindu (he’s a top expert in his specialty with 30 years experience), who would you choose? I would suggest that to choose the Christian would not only be wrong, it would be foolish and a dereliction of your parental duty. Likewise, when hiring a President, let’s make sure we’re focused on the right questions. Their faith is not, in and of itself, one of those questions. One of the specific critiques which I’ve heard more than once is that a Mormon President would lend new legitimacy to the LDS faith due to the prestige of the office of the president. This is highly speculative, and could theoretically be true, but could just as easily go the other direction. For example, it could make it more difficult for a LDS missionary to proselytize a Democrat! Simply looking at historical precedent, there don’t appear to be any major religious realignments on account of any President’s particular religious affiliation. By the way, I tried to do a simple analysis with our first Roman Catholic president (John F. Kennedy) to see if there had been an appreciable impact on Roman Catholic membership due to his election. Unfortunately, it appears there is going to be nothing simple about such an analysis since Vatican II occurred in the early 60’s, and America experienced an influx of Latin American immigrants starting in ’64. Kennedy was President from ’61-63, so it doesn’t look like we’ll be able to test any theories on the that historical precedent. I do not believe we should apply a double standard to members of the LDS church. The Bible clearly establishes the role of civil government to restrain evil, but does not require that we vote only for Christians. We must not be hypocritical in our commitment to religious liberty. We need to make sure we use the right criteria for “hiring” a President. And I do not believe the concerns about a potential Romney presidency becoming a platform for the Mormon faith are valid. 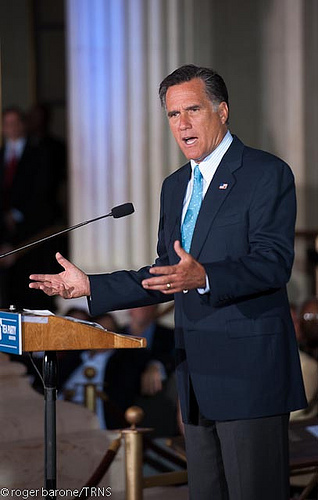 The fact that Mitt Romney is a member of the LDS church will in no way impact my vote for him this November.